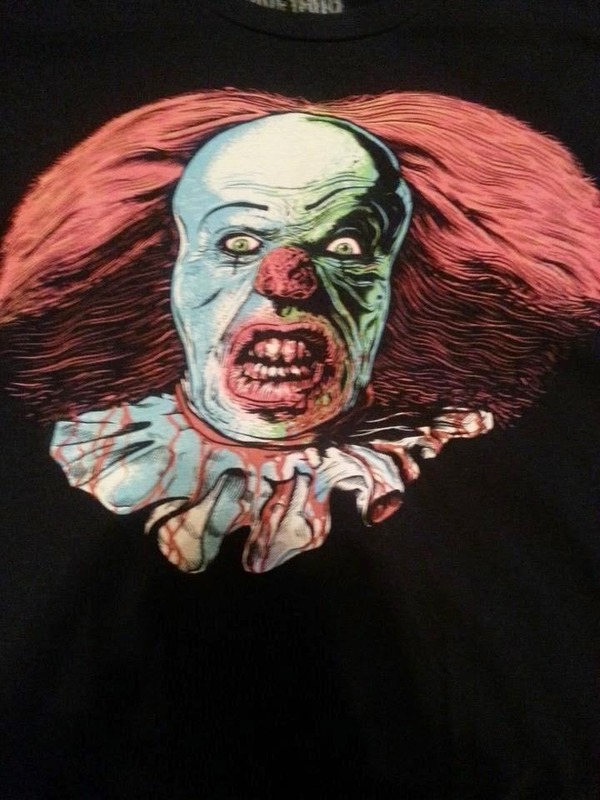 I have posted about Fright Rags before. Surely, I have. Yup, it's right here. It was so long ago I almost forgot. I have this thing where I always get a snapshot of each new shirt by itself just so everyone can see the design. Naturally, I share these pictures on Facebook. It's just that sharing crap on Facebook seems second nature to me now. Terrible habit, isn't it? So I've decided to make the habit worse by sharing the pictures on my blog. 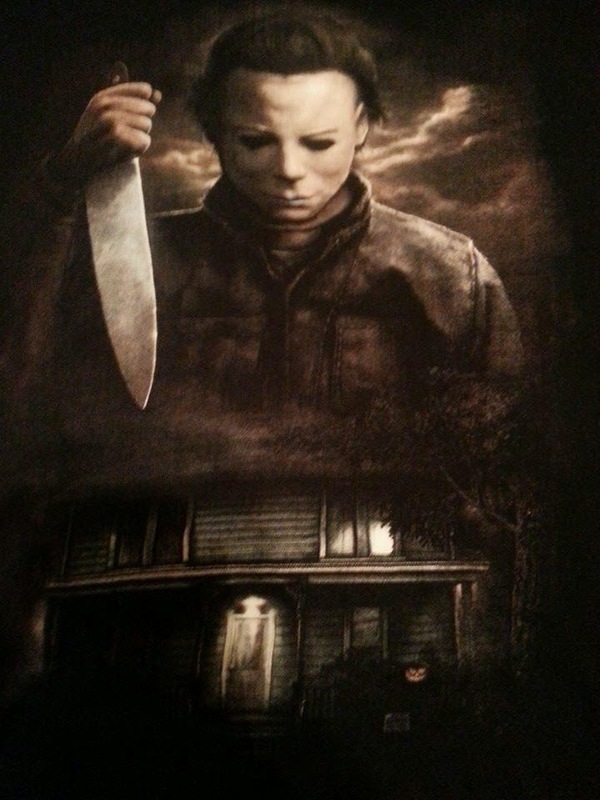 I really love cool horror artwork and I'm picky about the stuff I own and wear outside of the house. Most people should be, too. 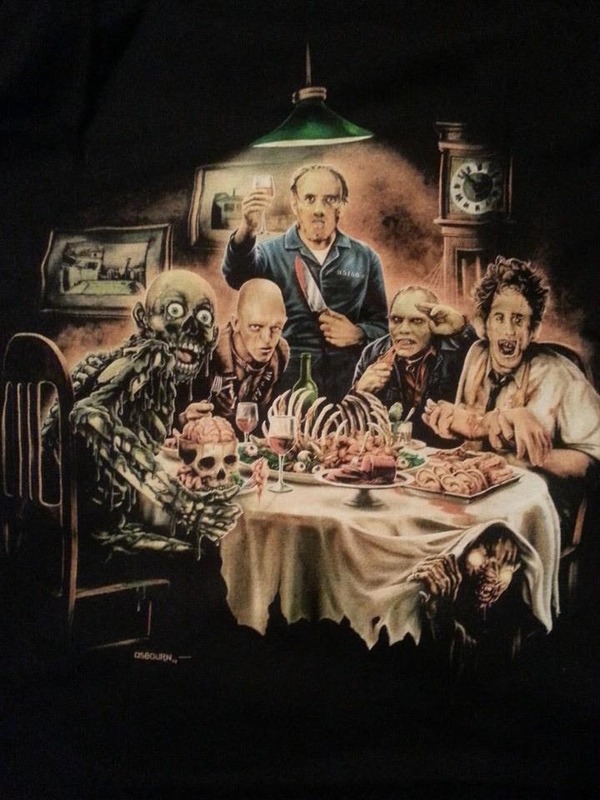 If I'm going out to eat in a very nice restaurant I think that the Cannibal Thanksgiving shirt would be perfect for such an occasion. See? Who says I can't dress for an occasion? Seriously, I love horror. I haven't visited the genre much lately, but I'll always have a backbone of horror. Whether it is music or movies or books, I think that horror is awesome. 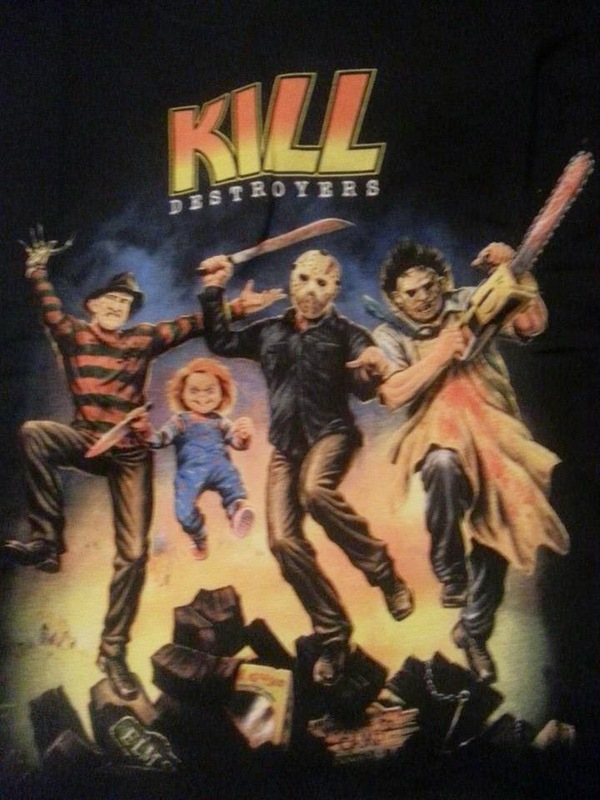 Most of these shirts are Fright Rags. Most of them. You'll probably notice what isn't. These are the shirts I wear proudly. Most people don't care or notice because everyone is involved in their own things, but when someone does and says, "Cool shirt, bro," it makes it all worthwhile. Same goes for my anime shirts. One or two might sneak up here. Again, you'll notice. 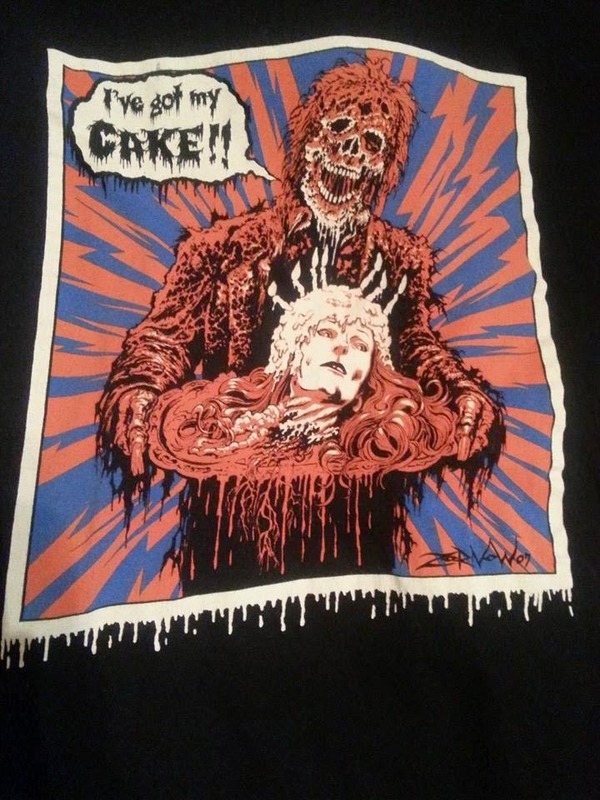 Anyway, I believe in never passing up an opportunity to buy a really cool shirt, horror or otherwise. These are my favorites up until now. This list will probably expand as I get more shirts. Remember the one I described as Cannibal Thanksgiving? 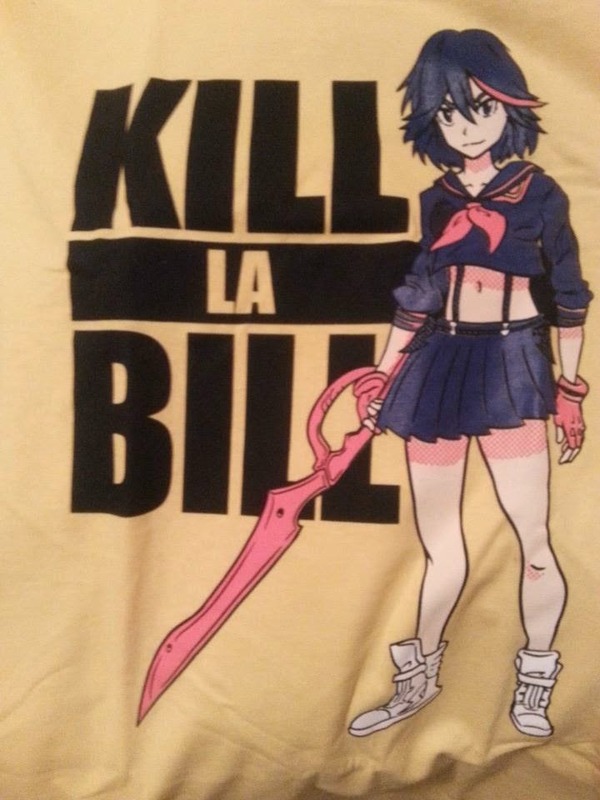 I love this shirt because it combines Tarantino and anime. 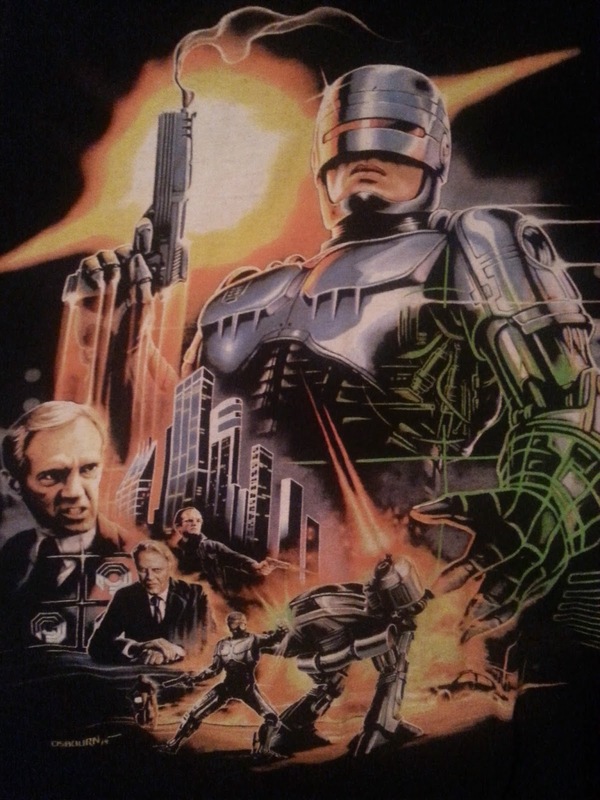 Oddly enough, the movie this shirt parodies had anime in it, too. Someone did their homework. And yes, I can make yellow look badass. This shirt looked too good to not buy. I love the first two Robocop movies. 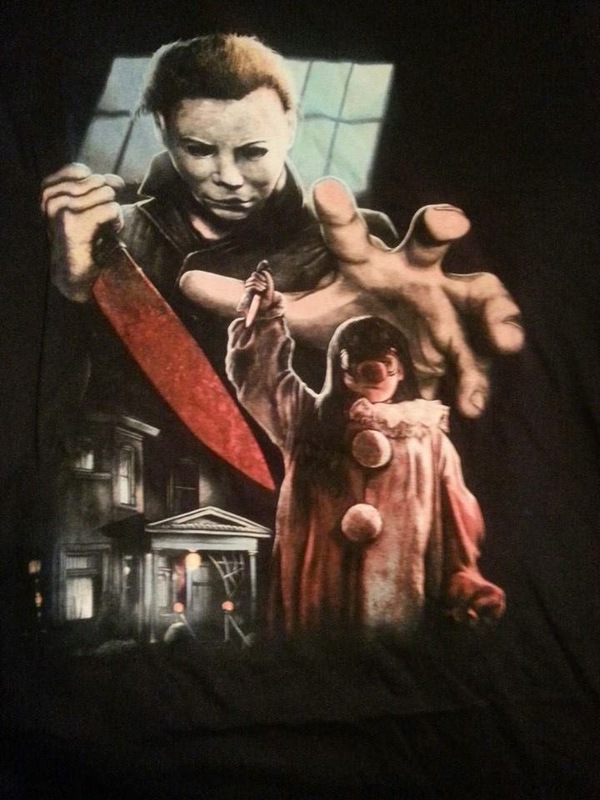 This was my first ever horror shirt as well as my first one from Fright Rags. 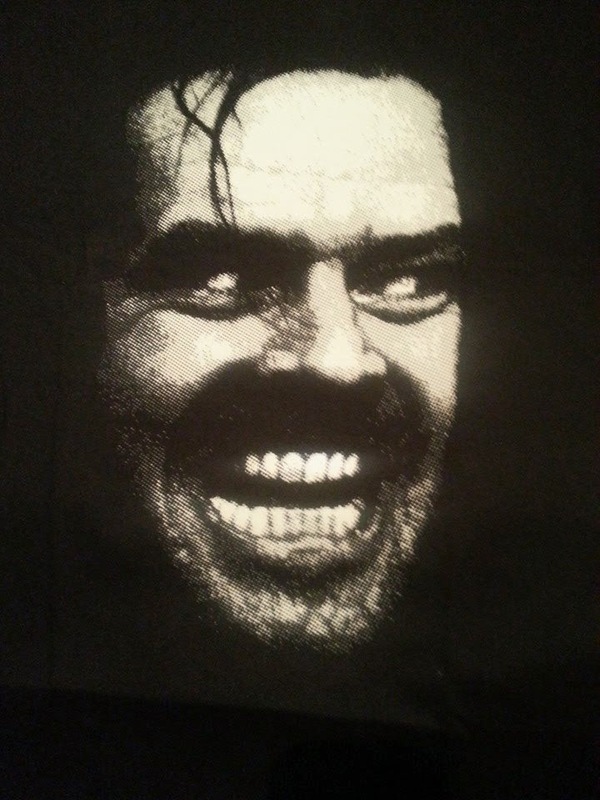 Wal-Mart is lame and doesn't have any horror shirts. discovering a second home. 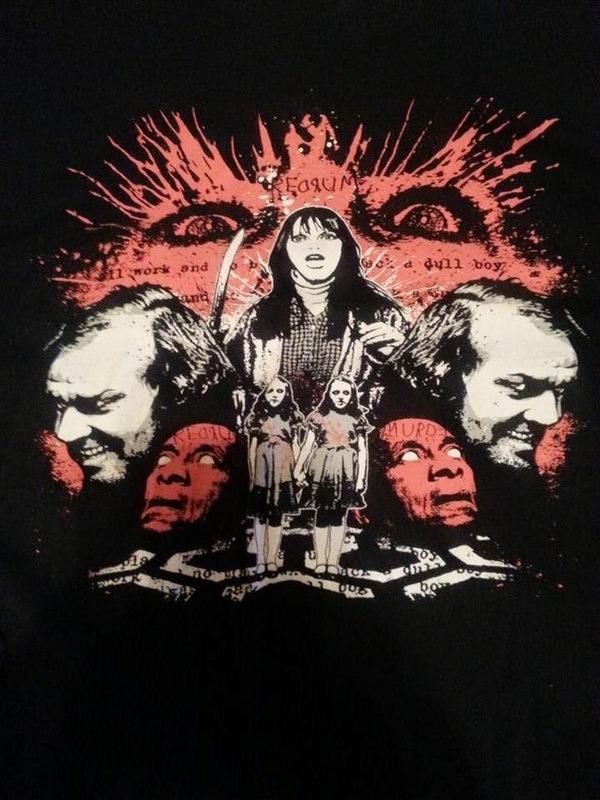 Horror shirts for horror fans.